A Professional Licensed Civil Engineer and Author. David has a bachelor of science in Civil Engineering (BSCE) and a master of business administrations in project management (MBA). 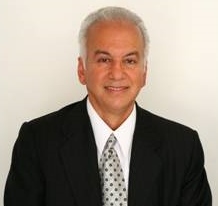 Ever since graduation from the California State University at Long Beach, David has successfully completed an array of additional graduate level courses, training, and certificate programs to obtain his professional civil engineering license in 1987, real estate broker license in 1991, and general engineering contractor licensed in 1992. As project manager, David has successfully completed various multi-million dollar private and public projects within the allocated original budget. David is experienced in planning, design, finance, cost and scheduling, sales, construction, project management and technical report writing pertaining to the residential, commercial, industrial, roadway, water and waste water, and environmental engineering improvement projects. David has also researched, authored and published multiple books on today’s various pressing issues. David may be contacted via e mail: dave@jalali.com or telephone at (949)433-5626.